Maidstone Grammar School for Girls is located on a 16 acre site surrounded by attractive open grassed areas and woodland. We are within easy walking distance from the centre of Maidstone and served by two nearby mainline rail links and convenient access to the M20 and M2 motorways. We also have ample on-site parking and virtually all our facilities, including washrooms, have disabled access. Maidstone Grammar School for Girls is the ideal location for your conference, sporting and other venue requirements. 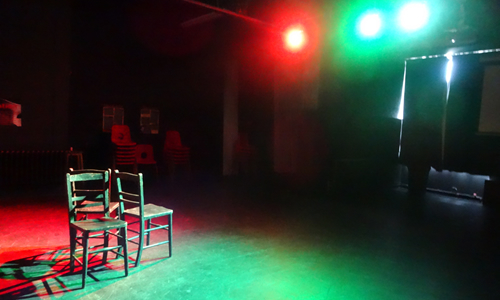 Whether you need a conference centre, meeting venue, or sporting facilities, a dance, drama or art studio, a venue for performances and shows, IT suites, or even an in-door rowing facility, then Maidstone Grammar School for Girls has the solution. We currently host a selection of Adult Education classes, local choir rehearsals and have hosted the Kent Science Festival for the past five years for over 2,000 visitors. If you are looking for a venue, then please call us to find out more about the extensive facilities we have to offer. 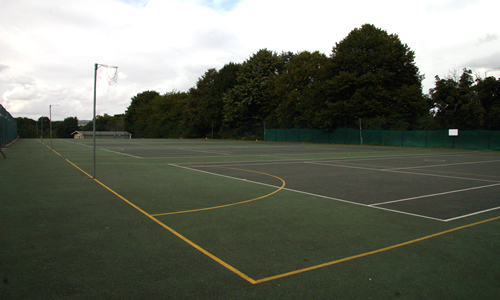 Five full-size tarmacadam netball or tennis courts. Week Day Evenings and Weekend Hourly Charge £20 per court or £50 for all five courts. 18m x 9m woodblock sprung flooring and gymnasium bars. Concept II in-door rowing machines within the Gym. The indoor hall is marked out for a variety of indoor sports. It has a full sized netball court, 4 badminton courts, a basketball court and a junior five-a-side football court and volleyball courts. The Sports Hall has separate changing facilities for males and females, disabled access and toilets. The Sports Hall has the facility to be divided into two equal zones separated by a dividing net. In addition to the main sports hall there are two additional rooms, a small office and a viewing gallery on the first floor and a large storeroom, reception area and toilets on the ground floor. Stairs and a lift connect both floors. 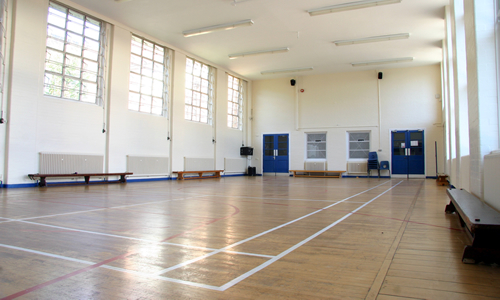 The sports hall has a Taraflex™ sports flooring which has been used for 10 Olympic Games since 1976 and most recently at the London 2012 Games. Leading sports events organisers and national governing bodies believe this specialist flooring offers the highest levels of performance, comfort and safety. 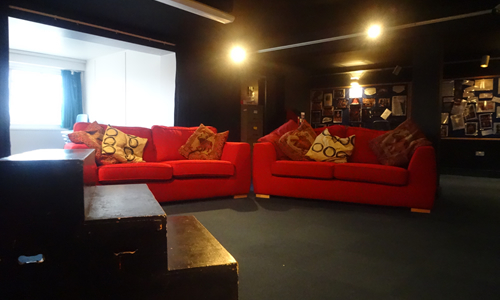 11m x 7m equipped with audio/visual facilities, PA system, near blackout possible with en-suite sofa/library area for rehearsing. Stage mirrors with make up lighting. 9m x 9m vinyl covered sprung studio floor, near blackout possible and coloured stage spot lighting. Equipped with audio/visual facilities, PA system. 21m x 10.5m hall with woodblock flooring and fixed stage of 10m x 10.5m. 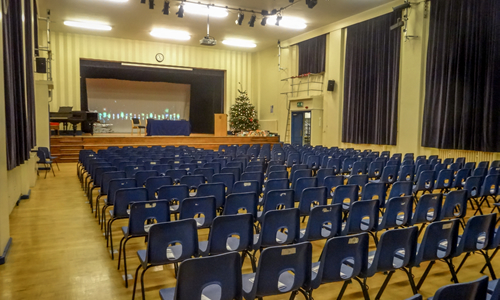 The hall is equipped with audio/visual facilities, piano, PA system, stage lighting and curtains. Seats 369 using interlinked chairs, additional balcony seating for 60 is also available. 13m x 11m hall with optional servery. Audio/visual facilities including retractable screen. Seating for 90 delegates using either conference set up, or individual tables/chairs and additional seated patio area. Optional linked café area for serving light refreshments is available. 12m x 7m air-conditioned conference room with seating for 16 delegates around one table arrangement. 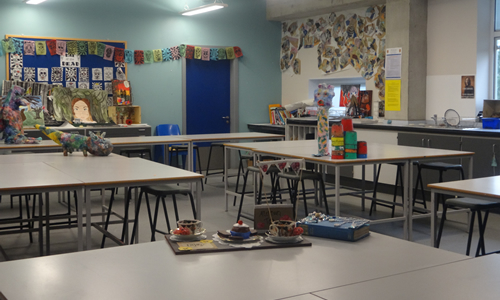 Equipped with audio/visual facilities and both standard and interactive whiteboards. An additional 32 PCs and chairs are located within this room. The room is ideal for conferences, or delivering training sessions. 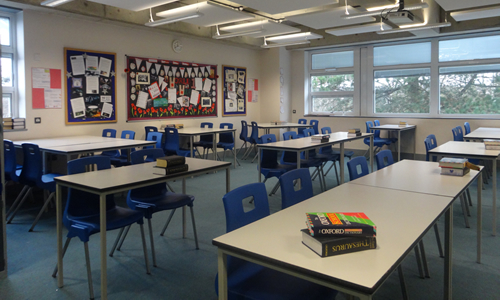 7.5m x 7.5m approximately, various classrooms are available offering seating for 32 delegates. Equipped with audio/visual facilities and optional interactive white boards. Capacities vary from 18-32 with individual PC’s and all with air-conditioning. 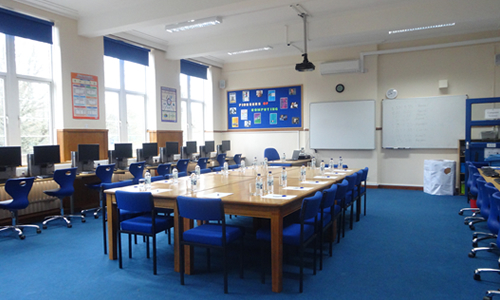 Equipped with audio/visual facilities and optional interactive white boards. 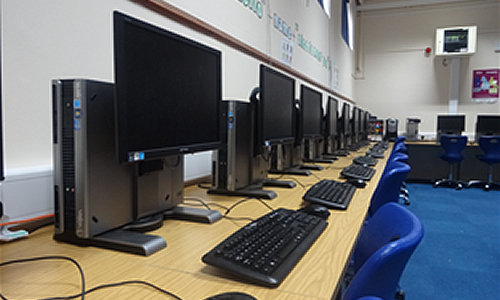 Classroom for 32 with 24 media editing PCs, air-conditioned. Three state of the art studios with natural lighting through ceiling panels, sinks, seating for 30 - 34 delegates. Equipped with audio/visual facilities and whiteboard and one studio with a large kiln. Two studios 9.5m x 9.5m and 6m x 7.5m offering up to 17 Yamaha keyboards and seating for 32 delegates. Equipped with audio/visual facilities and white boards. State of the art Food Technology facility with 9 ovens, work stations with sinks. An additional 2 hand wash sinks only. 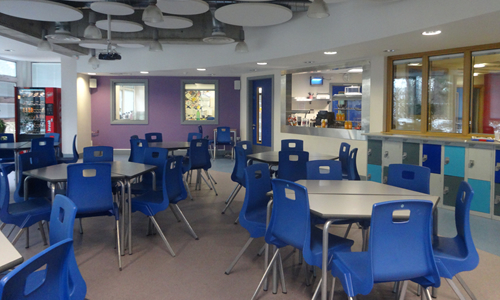 Equipped with 2 dishwashers and fridge freezers, audio/visual facilities and optional interactive whiteboard. Seating available for an additional 21 delegates with desks. Seats up to 200 delegates with limited cooking facilities available by negotiation, or catering facilities and refreshments can be organised for you at an additional cost. Informal area with servery, tables, and seats to cater for 90 delegates, with limited cooking facilities available by negotiation, or catering facilities and refreshments can be organised for you at an additional cost. Please see our lettings policy for more detailed information about hiring our facilities. If you would like to enquire about hiring any of our facilities or would like to arrange a visit please use the contact form below. Which facilities are you interested in? The Main Hall or Central Hall are ideal venues for birthday parties or other celebration events. Applications are welcomed for complete use of the school site and price is negotiable. All bookings are subject to availability during school holiday periods and after school timings. Disabled access is available. Terms and conditions apply. Please see our Lettings Policy for more details. All prices exclude VAT.